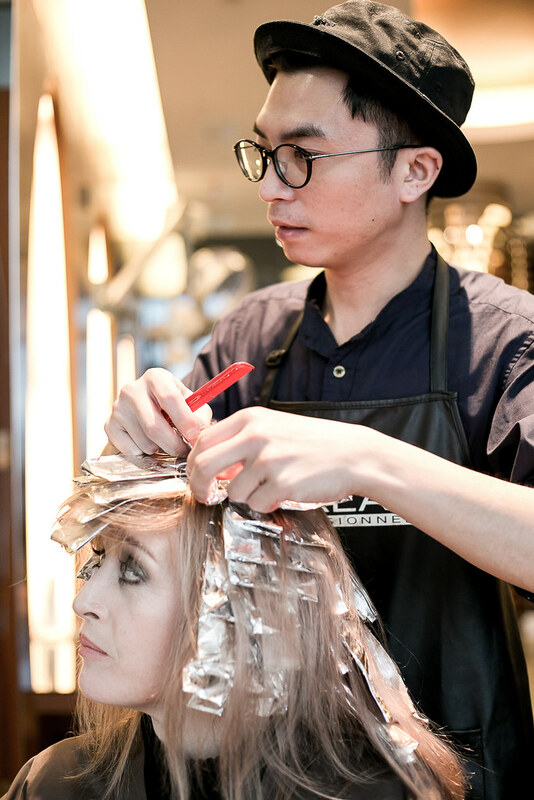 Being a natural blonde, my hair thankfully transitions quite easily between colours, taking on the red, ginger, pink, purple or whatever my colourist Andy Wong from ‘QG Private i’ chooses. 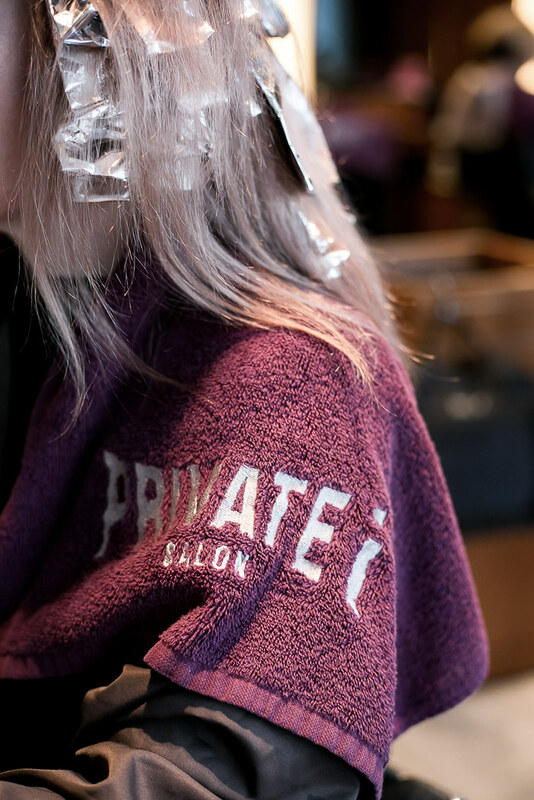 Although, my hair does not always maintain the colour well (read my blog on Living Proof hair products HERE which definitely help prolong colour!) All this means frequent visits to my go-to-guys at ‘QG Private i’ is always blocked into my diary – dubbing it my ‘office-away-from-office’! Now my colour changes are partly due to me enjoying morphing between shades and experimenting with colour but really, the rainbow of selections you see on Instagram’s @DressMeBlogMe, orientate themselves around Andy’s playfulness when it comes to hair. 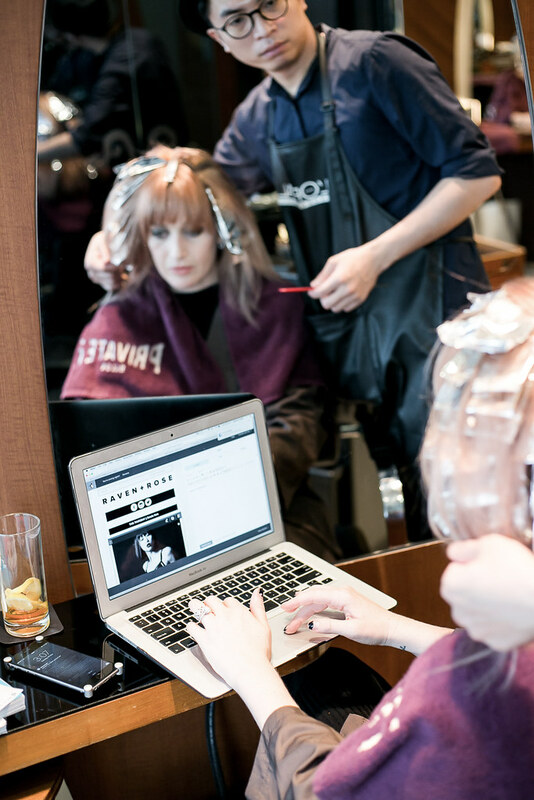 As one of Hong Kong’s most notable colourists (award winning in fact! ), he forecast’s hair/fashion trends, understands skin tones and can merge the two perfectly. 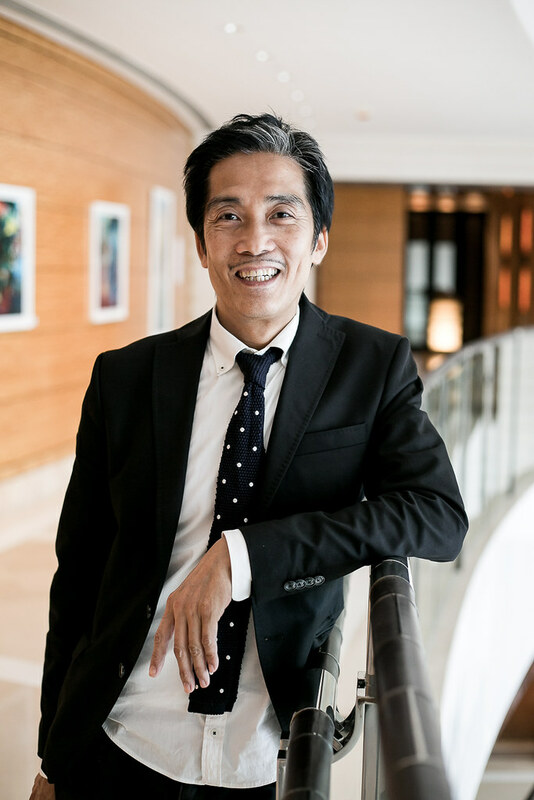 And my trust in his skill – undeniable! Andy, as forward as he is with colour, is also surprisingly conservative with it. He won’t take you to the extreme’s on the first go. 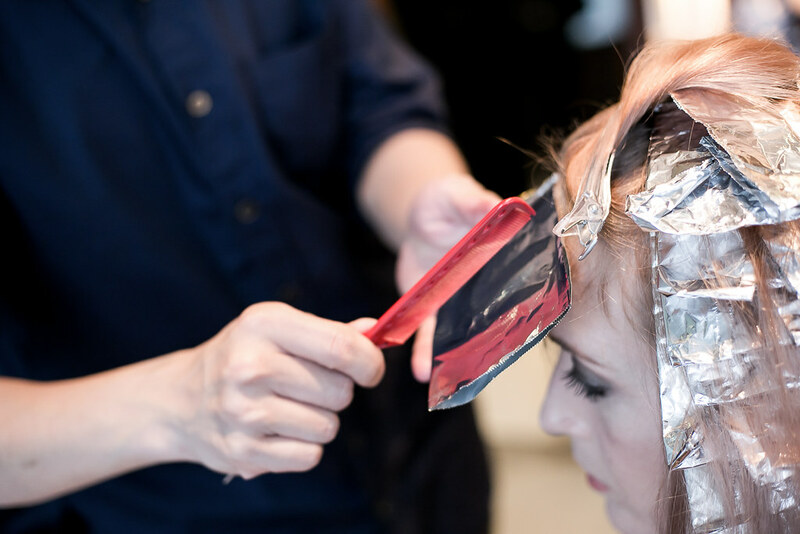 He prefer’s to graduate you more naturally into a new colour via the aid of highlights and toners. 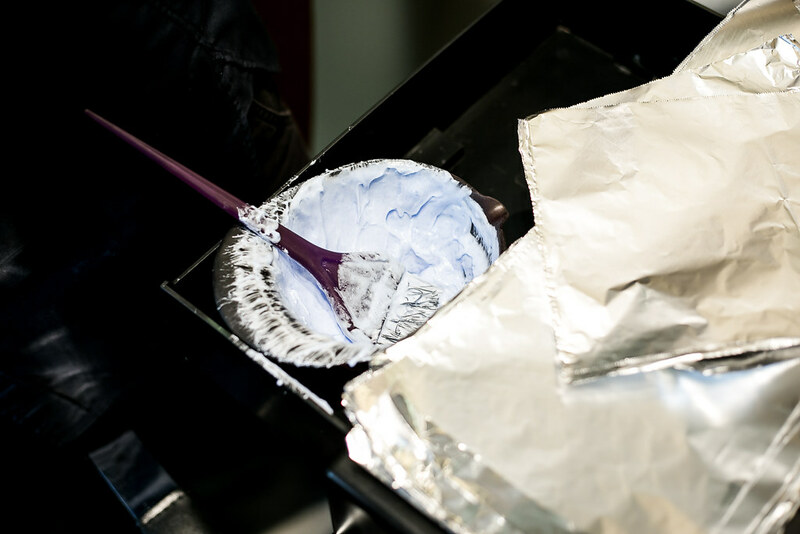 This step-by-step process allows you to try different tones on the journey to your chosen colour as well as allows your hair some breathing space – not overwhelming or damaging it via a slower process. Now you don’t want to leave without seeing my hairdresser Teddy. Teddy usually cuts your hair dry, snip by snip, until he’s perfected a shape that will sit naturally without much fuss or bother – a technique I love as I’m someone who prefers not to blow-dry their hair, I’m always looking for cuts that can dry naturally and still look like perfection without the aid of mass styling and products. 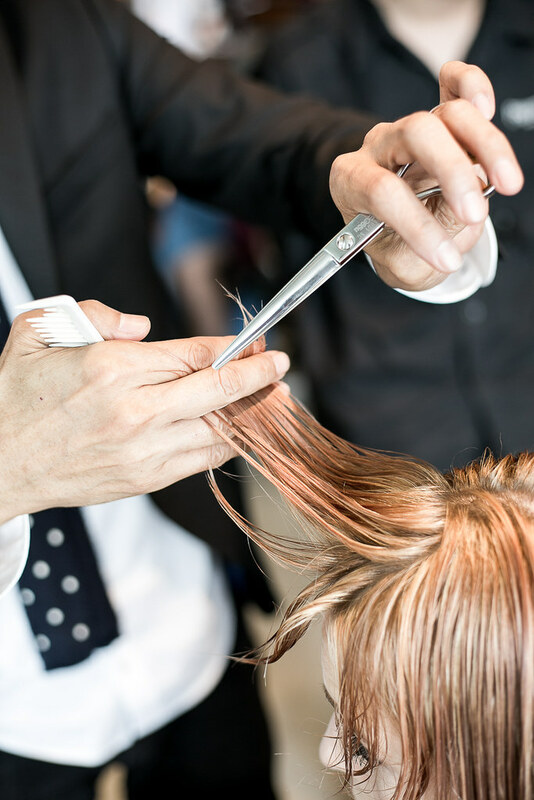 Now I’m not opposed to ‘doing’ my hair, but I don’t always have the luxury of time – and this is where Teddy really shows his skill! 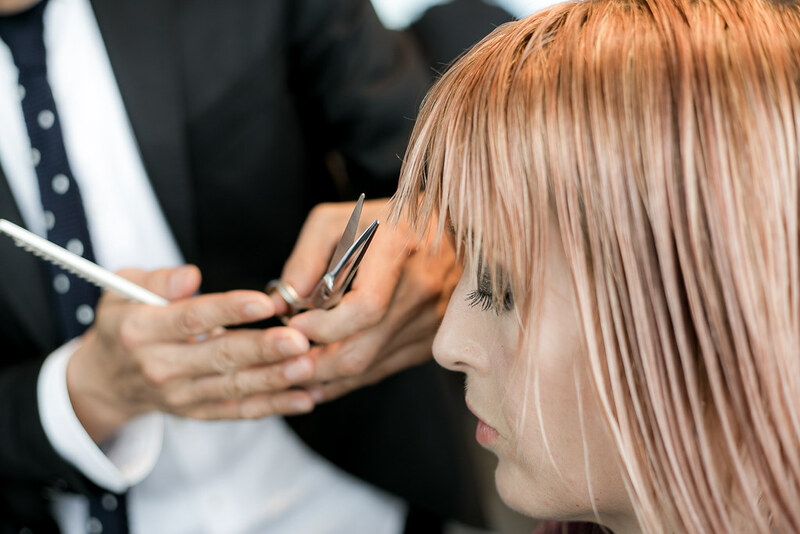 He not only constantly gives me new hair style – bobbed, layered, side shaved – but cut’s them all in a way that suits my low-key hair preferences. Teddy and Andy work together as an amazing team. Touch base with these guys for a consultation – they’ll work with you on creating an awesomely perfected look.